Thursday, April 4, 2019 – On Sunday’s Prairie Public Presents, we’ve been airing new episodes of the Threshold podcast as they take us on a circumpolar journey to explore the Arctic and document how it is changing. 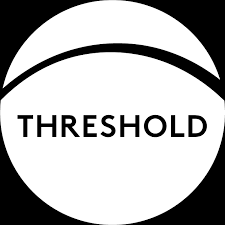 Threshold founder and executive producer Amy Martin joins us to discuss the series and to preview the final episode, which airs Sunday at 5. ~~~ Matt Olien reviews the new film “Gloria Bell.” ~~~ This is National Tribal Public Health Week. It’s also American Indian Public Health Day, with observances at NDSU and UND. On that occasion we hear from Mark Trahant, the editor of Indian Country Today and the essayist behind Trahant Reports. Today, he talks about attempts to repeal the Affordable Care Act and the Indian Health Care Improvement Act. ~~~ Sue Balcom joins us for Main Street Eats. Today’s topic is asparagus. ~~~ Doug and Ashley have our What’s Happening calendar of events.